Claims made about the benefits of ensuring New Zealand’s rental properties meet the Government’s Healthy Homes minimum standards are exaggerated, according to a new report. To meet the requirements of the Healthy Homes Guarantee Act the Government will be introducing a set of healthy homes minimum standards in a bid to make rental homes warmer and drier. The much-heralded standards will set minimum requirements for heating, insulation, ventilation, moisture and drainage, and draught stopping in residential rental properties. A cost-benefit analysis by the New Zealand Institute of Economic Research (NZIER) underlies the Government’s discussion on the standards and it finds the standards would have clear benefits, including improved health outcomes. But now a new report by Tailrisk Economics principal Ian Harrison finds that the NZIER’s analysis was “client-friendly” and over-states the benefits of the standards. According to Harrison, key “unhelpful” documents were sometimes ignored, costs were systematically understated, and unrealistic methodologies were adopted that overstated the net benefits. He redid the cost-benefit analysis by including the “unhelpful” documents while correcting costs and methodologies. The result was of this was that in his assessment the net benefits of the proposed standards are strongly negative. Installing a heat pump in every rental property’s living room would come at a capital cost of $457-million bringing a net loss of $500-million, for example. 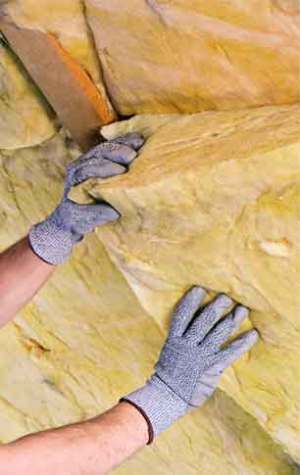 Insulation top-ups would cost $410-million bring a loss of $269-million; ventilation would cost around $200 million with very limited benefits; moisture proofing would cost around $300-million with no material benefit; and draught-proofing would cost around $300-million, again with limited benefits. Harrison also comes to a number of other conclusions which go against the currently accepted grain in his report. He says that cold and damp dwellings are not a widespread problem for tenants – going by the results of a comprehensive survey by Building Research Association New Zealand which found that only 2.7% of tenants thought that their rental was cold and damp. Further, he says the World Health Organisation did not, as claimed by MBIE, the NZIER and many academics, recommend a minimum indoor temperature of 18 degrees for the general population. Finally, Harrison finds there is no evidence that current New Zealand bedroom heating practices present a health risk or are unsafe. Investor advocates have long been sceptical that the proposed standards will achieve what is expected in a cost-effective way. Stop the War on Tenancies spokesman Mike Butler says that Harrison’s report rubbishes cherished “cold and damp rental property” beliefs and exposes a series of fallacies hidden in the spin. He says the evidence shows that the “healthy homes guarantee” slogan is very bad news for all rental property owners who may be forced to spend around $7,000 per dwelling on unnecessary upgrades.